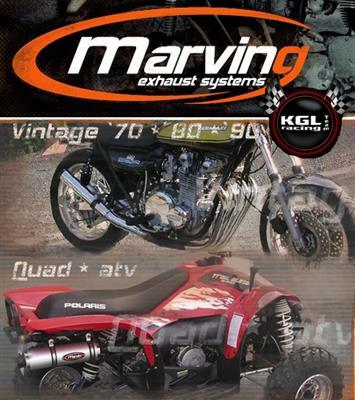 Marving was founded in 1969, Marving was one of the first Italian companies to produce complete 4in1 systems for the superbike, and was able to establish itself on the world market soon. Marving, today committed to creating quality products for the vintage motorbikes of the years 70/80/90, rather than sports exhausts, as replacement silencers for these classics. The entire production is done internally, from raw material to finished exhaust, and with a constant monitoring of the product. Chosing Marving therefore means owning an outlet designed with utmost care, and is easy to install and 100% Italian. 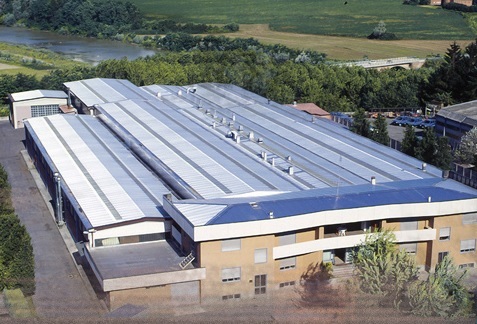 The Marving factory is located in the north of Italy in the village Cherasco. We import the Marving exhausts directly from the factory and can therefore offer them at very attractive prices.